Westland 'Garden Health' Multi Purpose Compost With Added John Innes supplied in a 20 litre bag is a life partner for growing strong healthy plants. Contains loam (John Innes) formulated to hold water and nutrients for longer, protecting plants from under or over-feeding by releasing nutrients when needed. Perlite has also been added to improve the compost structure and allow adequate air movement around the roots. 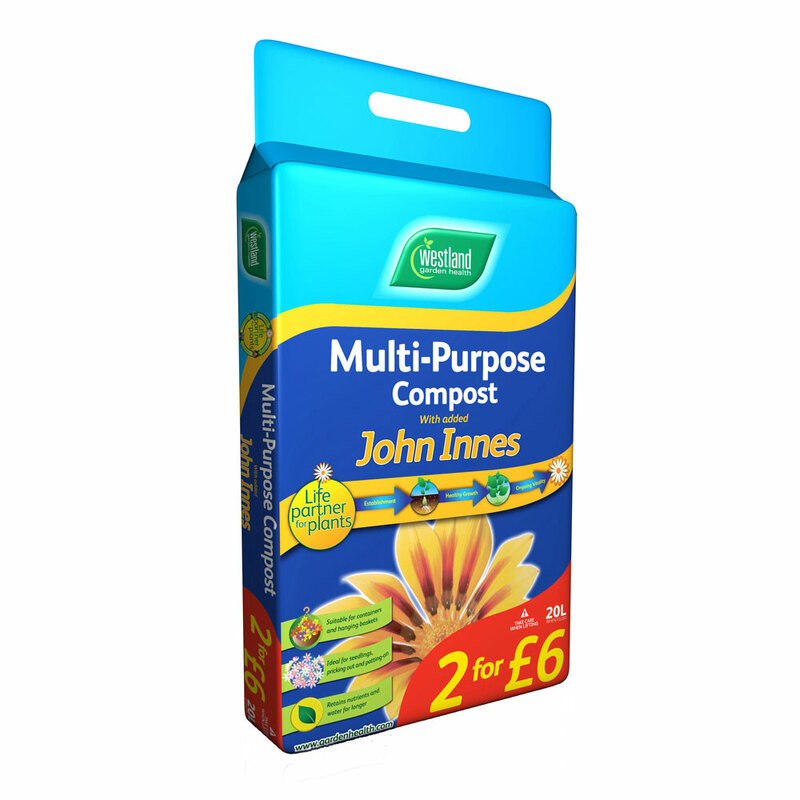 Multi Purpose Compost with added John Innes is also much easier to rewet after drying and remains moist for longer after watering. Containing all essential trace elements and recommended for use in seed sowing, pricking out, potting on, houseplants, containers or hanging baskets. Contains food for up to first 4 weeks plant growth, with recommended feeding after 4-6 weeks. Suitable feeds include J Arthur Bower’s Multi-Purpose Tub & Basket liquid plant food (every 7-14 days).